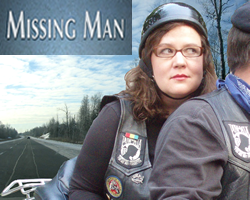 Written and performed by solo artist Mary Scruggs, Missing Man is based on a cross-country motorcycle trip Scruggs took with a group of Vietnam Veterans to the Vietnam Memorial in Washington, D.C. It’s a story of one woman, 300 motorcycles and lots of emotional baggage. Directed by Edward Thomas-Herrera. Missing Man opens Thursday, January 24th, 2008. Closes Sunday, March 2nd, 2008. 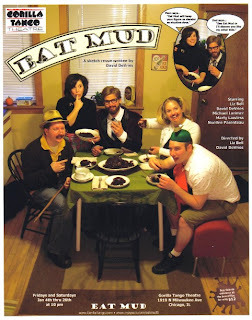 Thursday, Friday and Saturday at 8pm; Sunday at 3pm. Tickets are $20 on Friday and Saturday; $15 on Thursday and Sunday. For reservations call (773) 871-1212.
located at 1919 N. Milwaukee Ave.
*at the corner of Milwaukee, Western, & Armitage.